who loves to play fetch, learn new tricks and hide his bone. He’s also partial to belly rubs. 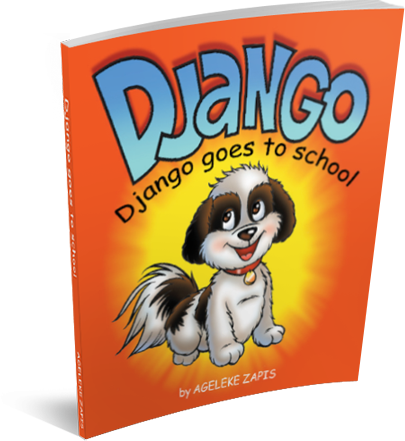 Angeleke’s inspiraton to write this book came to her during one of her many walks in the park with Django. Because of Django’s friendly disposition, not only did he meet many 4 legged friends, but Angeleke also met many wonderful people who all had something in comon, a love for their dogs. I gave this as a gift to a friends child. He says that she loves the book and chooses it very frequently as the book of choice for the bedtime story. It tells a great story also and is reassuring about things kids face themselves. 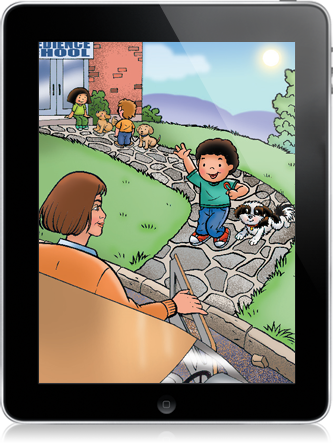 The single downside…the child that received the book felt the child in the book should have been in a child safety seat, not wearing just a safety belt while riding in the van in the story. I bought this book for my nephews, aged 2 and 1. I have a Havanese dog so I was thrilled to find a book about them that my nephews could relate to as they love my little dog. Beautiful illustrations and a cute story!!! Copyright © 2019 Django Goes to School - All Rights Reserved.